It’s April and the first full month of spring. It’s also “Alcohol Awareness Month,” and there is no better time to look at limiting the impact of drinking on your health as you get ready for summer. 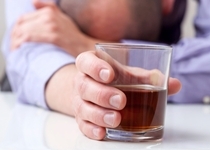 Alcohol dependence is often viewed as a black and white issue, but it’s not. The problems associated with alcohol dependence are as diverse as the people who drink. For some, its effects are far more detrimental. Let’s start with what we know: no alcohol is better than some alcohol. Even though certain benefits are associated with specific segments of the population, the risks associated with booze greatly outnumber the benefits. Alcohol use can lead to weight gain, liver disease, heart disease, high blood pressure and even personal injury. According to a CDC study, most people who drink do not show symptoms of dependence on alcohol. Some people drink more than one or two alcoholic beverages per day, but show no signs of dependence. On the other hand, there are those who stay away from alcohol during the week, but binge on weekends, and have a dependency. It’s generally recommended that if you drink; try to limit consumption to one or two standard-size drinks per day. If you’ve had struggles with alcohol in the past and have experienced severe troubles such as a DUI, job loss, physical abuse or other major events, seeking individualized treatment is highly recommended. However, if you drink moderately and would like to reduce consumption, we have some tips to help you out. One way to limit alcohol consumption is to figure out why you’re drinking. If you recognize the triggers, you can make an effort to avoid those situations and come up with alternatives. For example, if you like to drink on the weekend to reward yourself for a long week, come up with something else to do that feels good to break the routine. Go to a movie or change your social circle so alcohol is not involved. If you don’t want to take a step like that yet, try to alter your behavior in drinking situations. Track how many drinks you have and set a limit of two. Sip them slowly and intersperse non-alcoholic beverages in between. Just because a bottle of wine is open, or there are six beers in a package, it doesn’t mean you have to drink all of it. Drinking is a common recreational activity and it can be very difficult to stop outright. Abstinence is recommended, but it doesn’t work for some people, or it can be an instant turn off. Instead, moderation is the key. It could also be a step towards abstinence. Controlling consumption to limit the health risks and avoid a traumatic experience is essential: the less you drink, the better it is for your health. A healthy relationship with alcohol is the best way to live, even if it means outright avoidance. Esser, M., “Prevalence of Alcohol Dependence Among US Adult Drinkers, 2009-2011,” Centers for Disease Control and Prevention, November 20, 2014; http://www.cdc.gov/pcd/issues/2014/14_0329.htm, last accessed March 30, 2015.